Karasuyama castle (烏山城) is located on Shiroyama mountain at the center of Nasu Karasuyama city, placed in the middle east of Shimotsuke country (Tochigi prefecture). Nasu Karasuyama city is the center of eastern Tochigi prefecture, and the place where Naka river, a large river flew from north east Tochigi prefecture to Pacific ocean through Mito city, run into the valley of Yamizo mountains that separate Shimotsuke province and Hitachi province (Ibaraki prefecture). Thus Karasuyama castle was an important point connecting Shimotsuke province and Hitachi province. Karasuyama castle was originally built in 1418 by Nasu clan. Nasu clan was a traditionally clan stem from Suketaka Nasu (?-?) in 12th century, and supported establishment of Kamakura shogunate by Yoritomo Minamoto (1147-1199) at the end of 12th century. In 1185, Yoichi Nasuno (?-? ), leader of the clan, participated in the battle of Yashima island (Kagawa prefecture) between Minamoto clan and Taira clan. During the continuous battle between ships of Taira side on the sea and Minamoto side army at the seasore, the battle temporally ceased by sundown. At that time one ship of Taira clan flying a folding fan with rising sun pattern approached to seashore, as if trying the archery skill of Minamoto clan. In response to this, Yoichi was nominated to the shooter, and he succeeded to shoot the folding fan from distant place. It is said that both side army praised his archery skill. 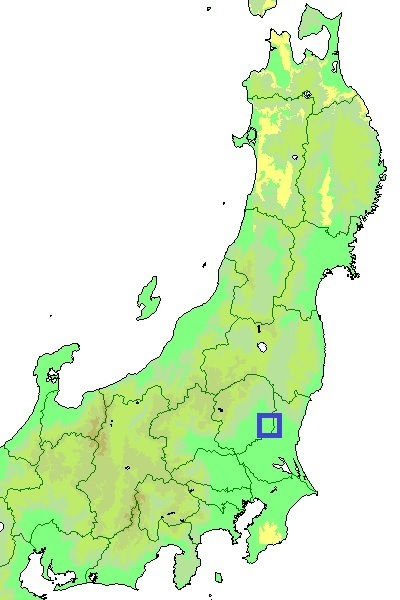 Being evaluated their achievement to Kamakura Shogunate, Nasu clan was approved to hold large territory in Nasu area. They were regarded as one of the eight traditional family in Kanto region, along with other clans such as Utsunomiya clan or Oyama clan. In Muromachi era, due to internal split the strength of Nasu clan once weakened. But at the beginning of 16th century the clan became united again, and transformed into a local warlord. 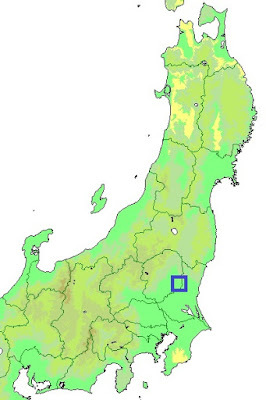 Nasu clan at that time was surrounded by strong warlords such as Satake clan of Hitachi province and Utsunomiya clan at Utsunomiya castle (Utsunomiya clan and Satake clan made alliance), and Satake clan sometimes attacked Karasuyama castle cooperating with non obedient retainers of Nasu clan. But Nasu clan bravely fought against these stronger powers over 50 years, and did not yield an inch to them. As their residence Nasu clan gradually expanded Karasuyama castle, and this castle finally became a large one of 500 meter square. Karasuyama castle is built at a long and narrow hill of 1,000 meter long and 200 meter wide spreads north and south ward, at eastern edge of narrow height surrounded by Nakagawa river and its tributary Egawa river. Conforming to the shape of the hill, core areas of the castle such as North fort, Middle fort, old main fort and main fort lies in line from north to south. These areas are square or rectangular shaped, protected by sheer clay wall and separated by dry moats. As western slope of the hill is gentle, this side is securely protected by defense facilities. A line of deep horizontal dry moat and clay wall is built just below of core areas, and many terraces cover several ridges spreads toward west. Main route from hillside arrives at southeast part of core areas, passing under front fort named as Taikomaru and main gate ahead of dry moat. Along with the route from main gate to main fort, stone walls are built to decorate the wall. Residence of the lord was built at eastern hillside, and this area also has stone walls. In 1590, Hideyoshi Toyotomi (1537-1598), the central ruler, made a large expedition to Hojyo clan, a warlord of Sagami province (Kanagawa prefecture) and seized most part of Kanto region, and extinguished Hojyo clan (Odawara campaign). Nasu clan was close to Hojo clan to confront with Sateke and Utsuomiya clan, and Satake and Utsunomiya clan were already at Hideyoshi side. Due to such reasons Nasu clan did not clearly support Hideyoshi, then was confiscated their territory in 1590. At this time, a traditional clan with 400 year history disappeared from the history. After Nasu clan, Narita clan which were formerly commander of Oshi castle under Hojyo clan was apponted as a commander under Toyotomi government. During Edo era, same as other castles in Kanto region, Karasuyama castle was governed by small hereditary retainers of Edo shogunate and the commander frequently changed. Originally Karasuyama castle was a medieval castle consist of clay walls, but at the beginning of Edo era stone walls were built only at front area of the castle, and third area for the palace of governor was also added in 1659. Subsequent to Meiji revolution, all buildings except for one gate kept as a personal property near the castle were lost by fire or destruction. Now Shiroyama mountain is covered by ceder trees, and mossy stone walls and rough clay walls silently lie in ceder forest. Magnificent wide shape of Shiroyama mountain still remind us the existence of brave clan with long tradition.